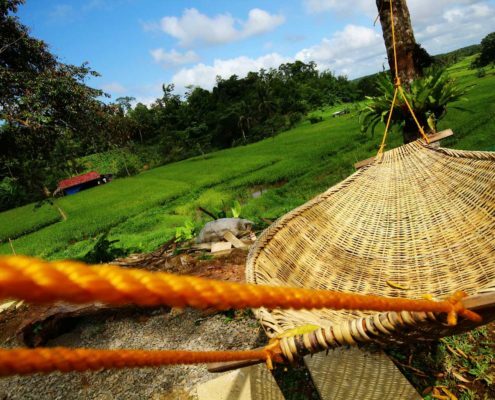 In Hindu language, Sam means doer of good deeds while Kara refers to inner harmony. 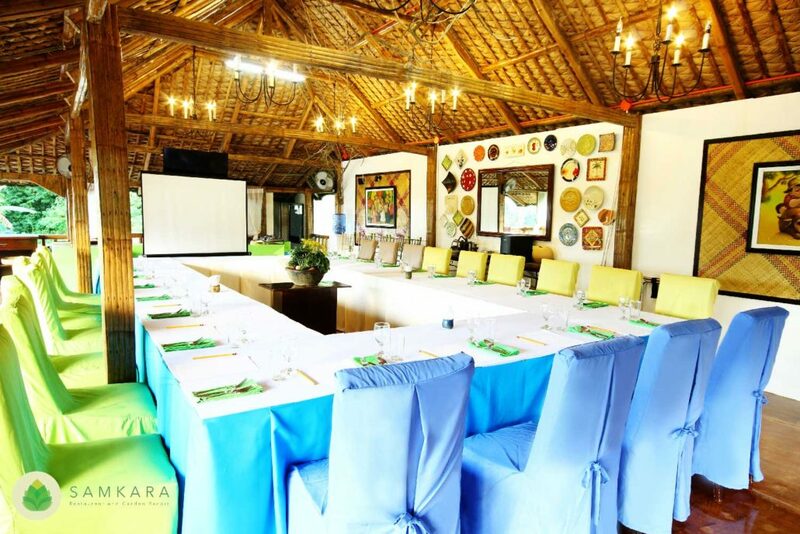 This is what Samkara Restaurant and Garden Resort is all about – all of nature’s goodness in harmony with you. 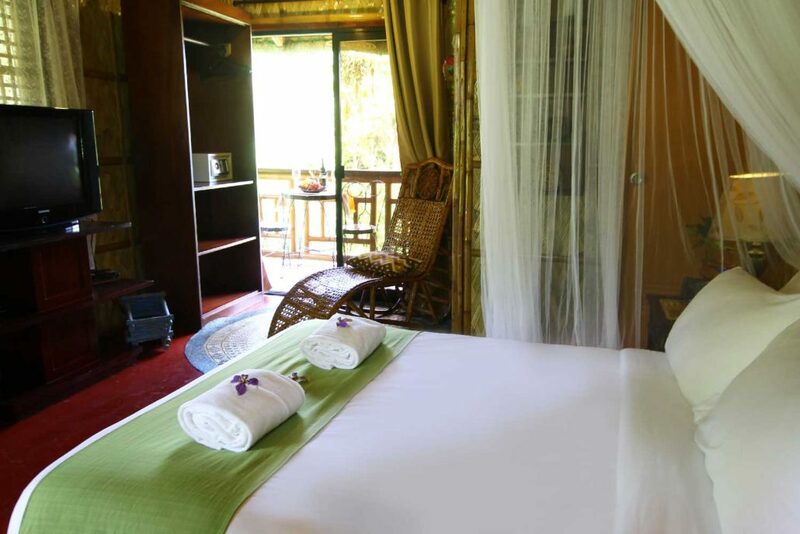 Inspired by the beauty and the calmness of its surroundings, Samkara aims to provide guests a place where they can truly relax, meditate and just appreciate nature and countryside living in its most basic form. 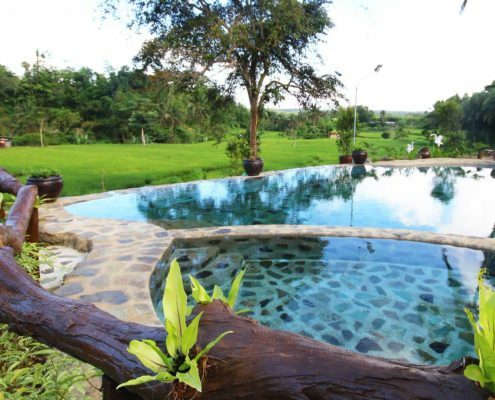 Every corner of Samkara’s seven thousand sqm beauty will surely liven up one’s senses in a way that is different from popular leisure spots. 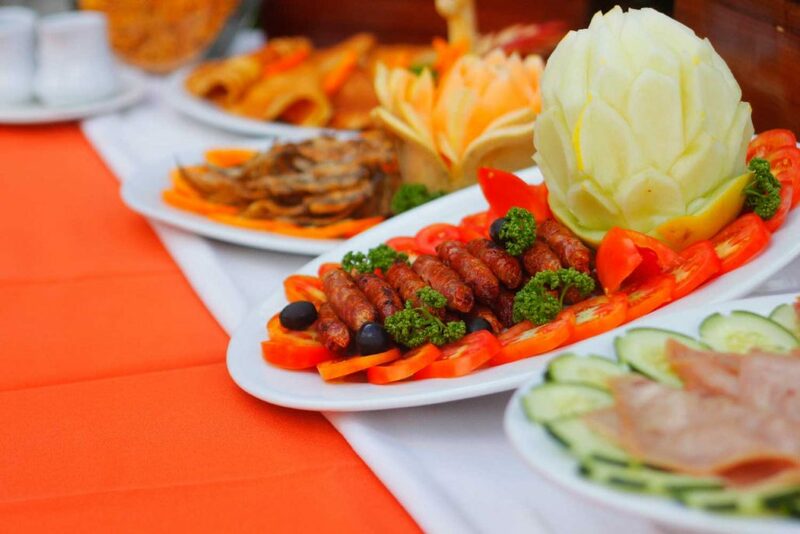 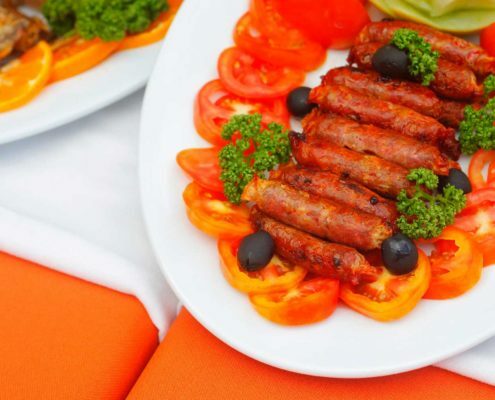 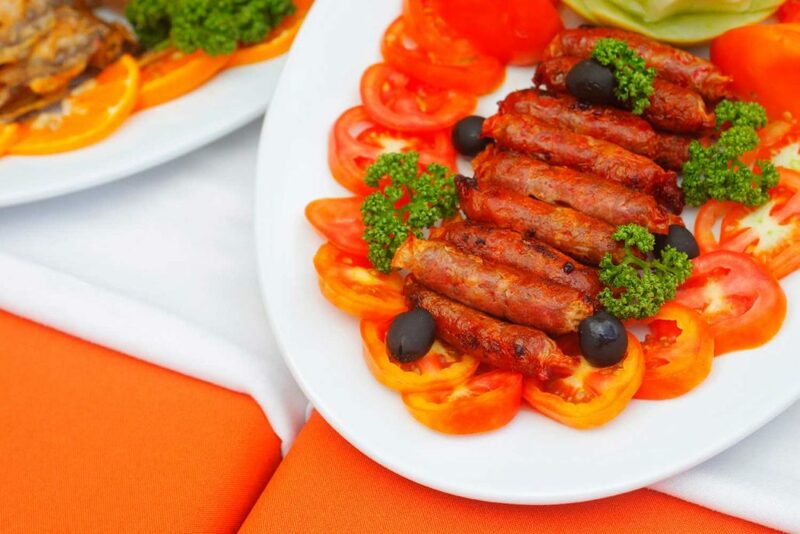 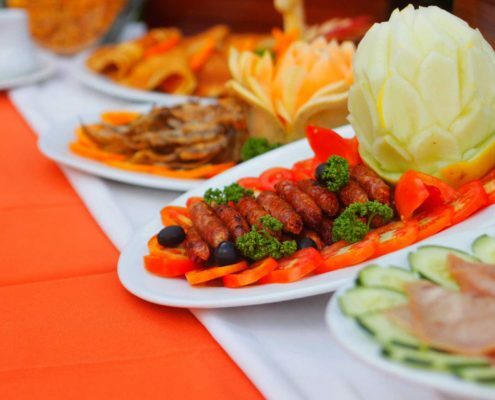 A trip to Samkara will not be complete without trying the hometown specialties and unique creations of its restaurant located at the entrance of the resort. 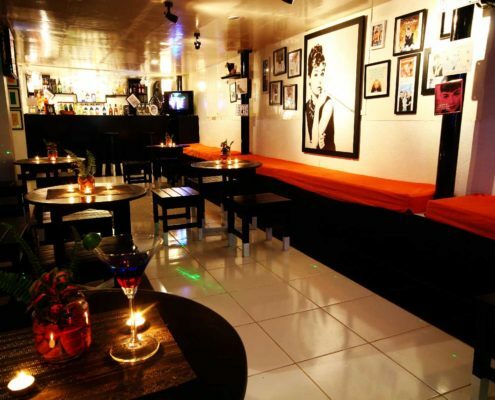 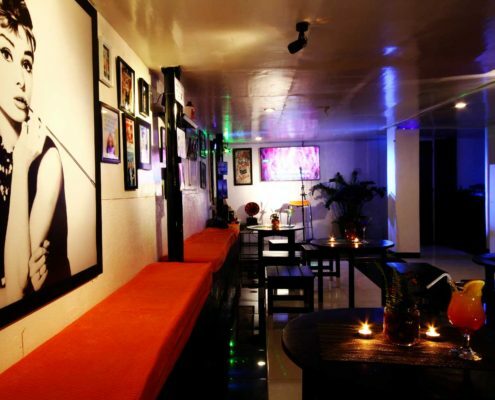 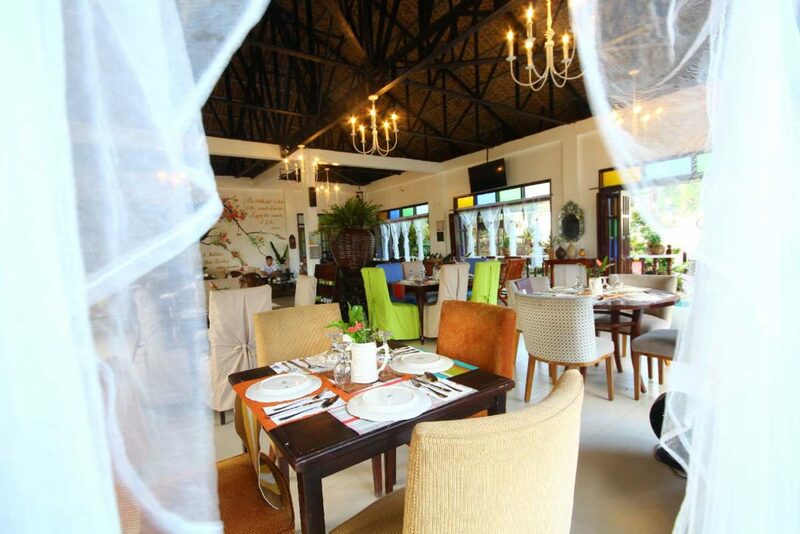 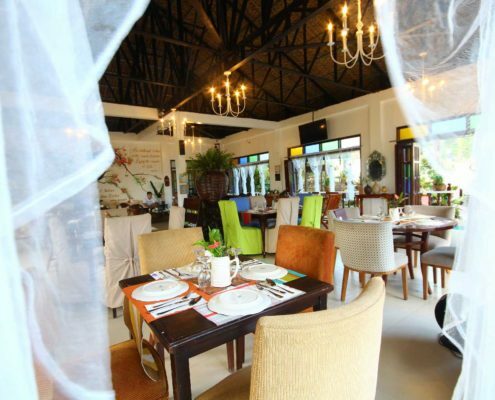 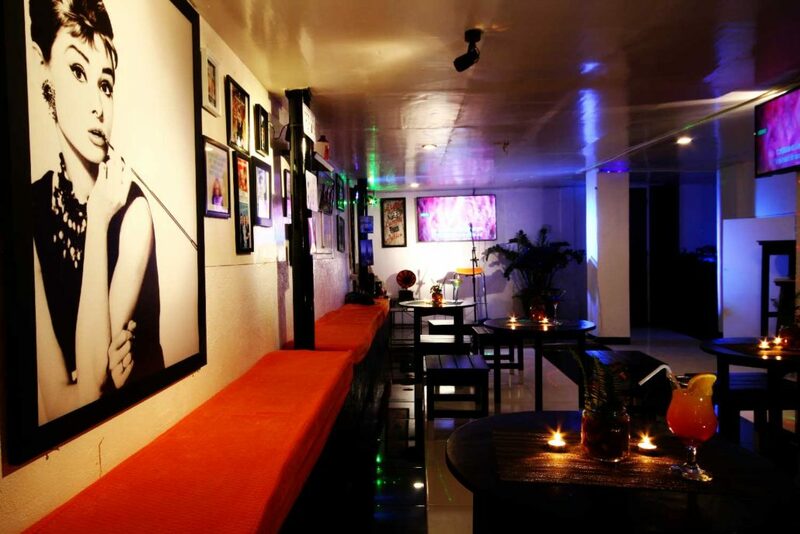 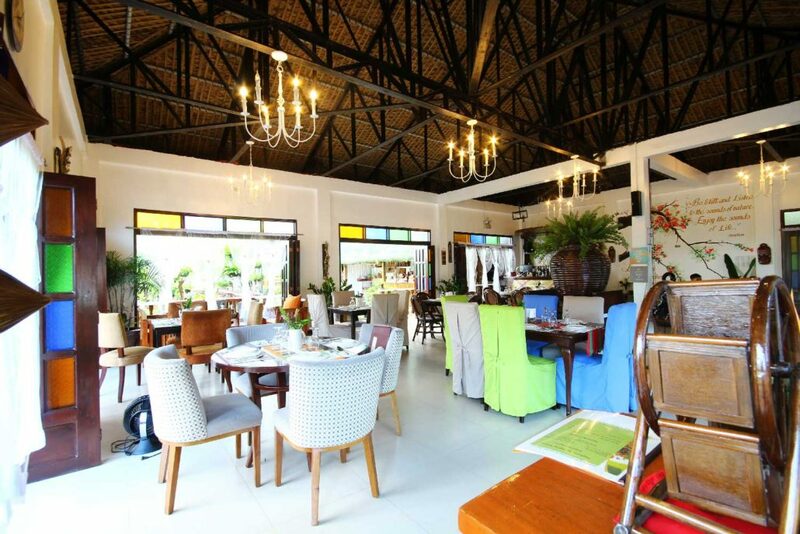 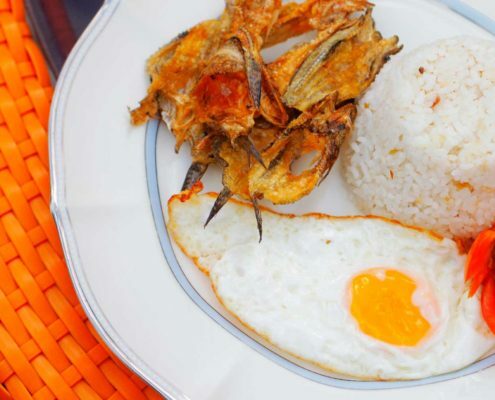 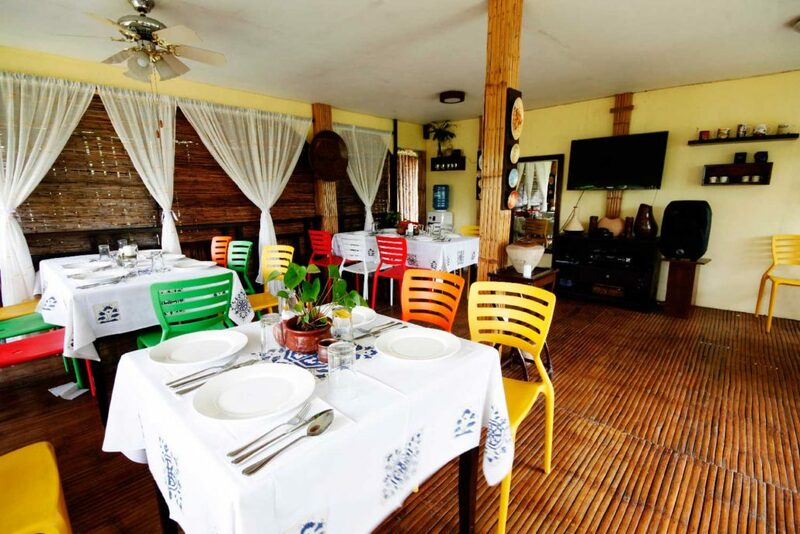 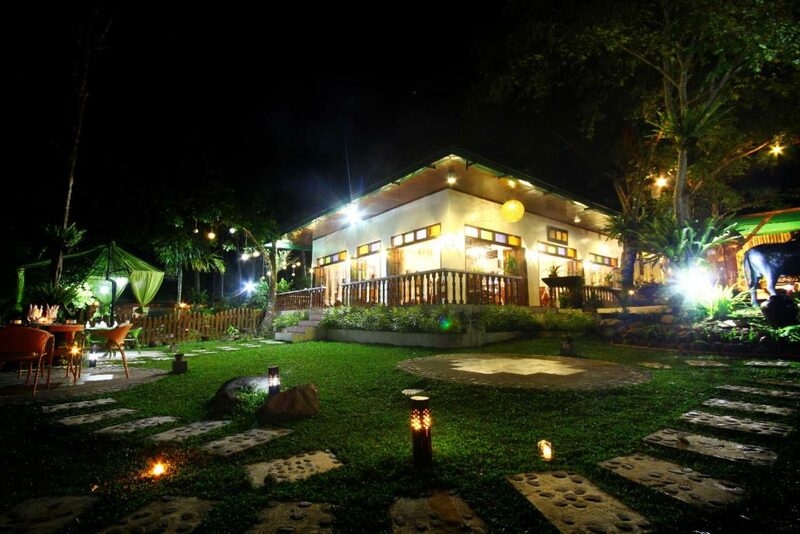 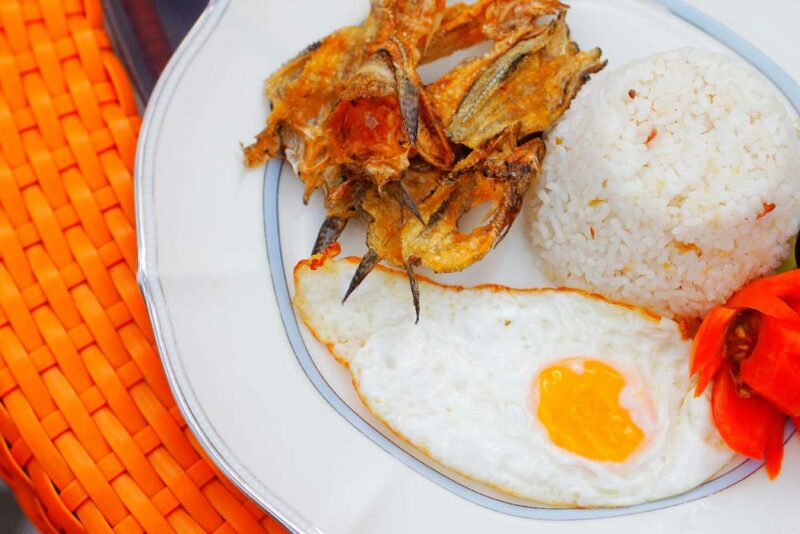 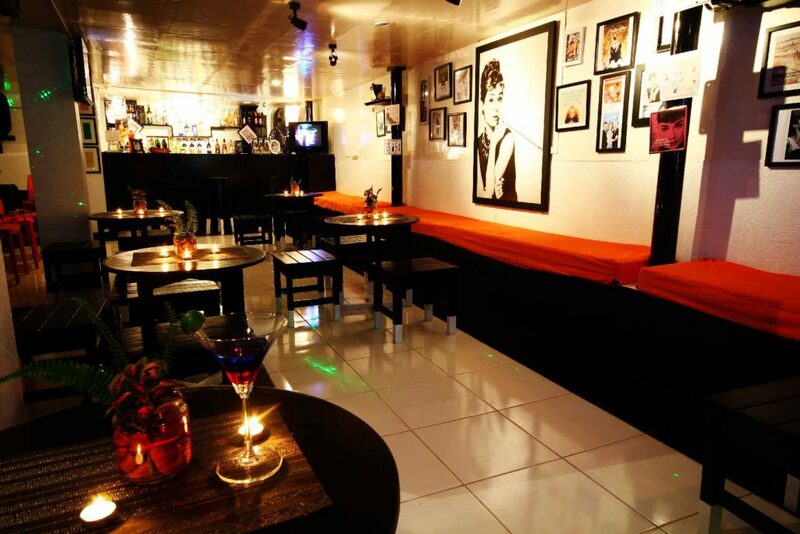 Though mostly Filipino-inspired, Our chef will surprise you with the twists he infused in his home-cooked dishes. 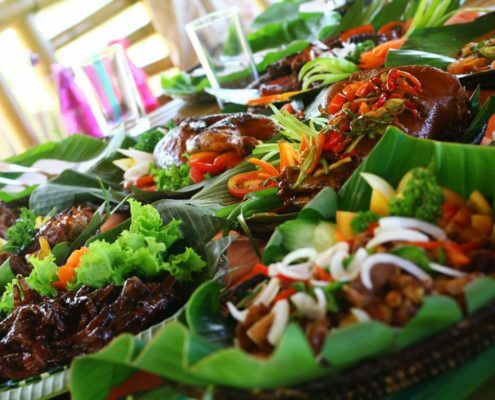 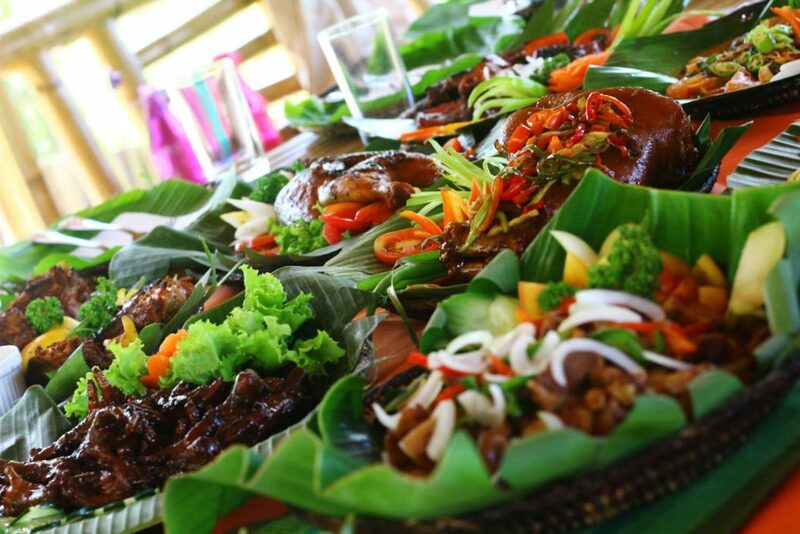 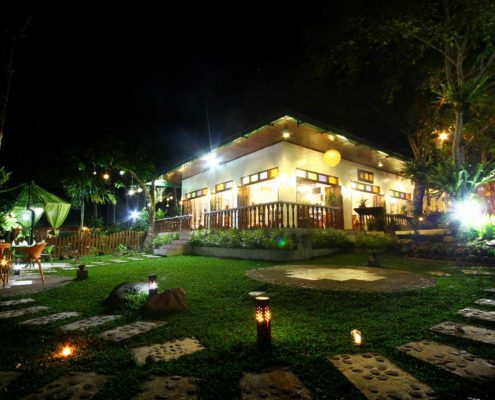 Make sure not to miss the Fresh Pako Salad, Seafood Kare-kare with its surprise bagoong and its Bulalo to name a few. 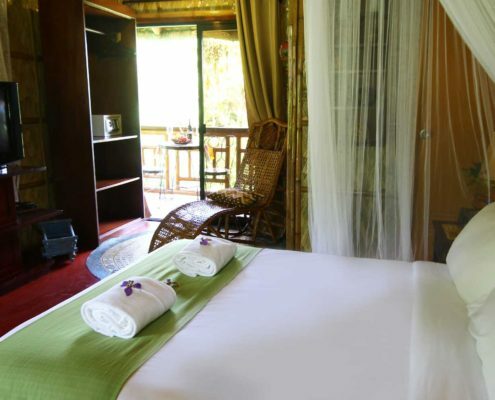 Accommodation in Samkara is also something that was well thought of. 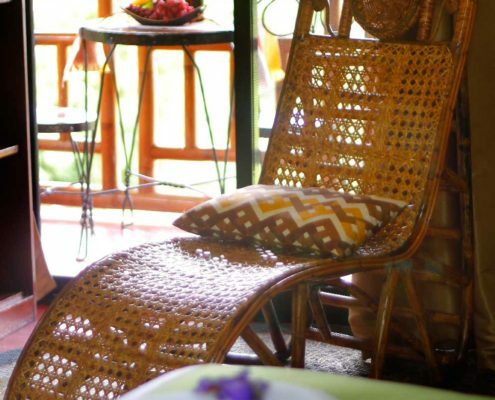 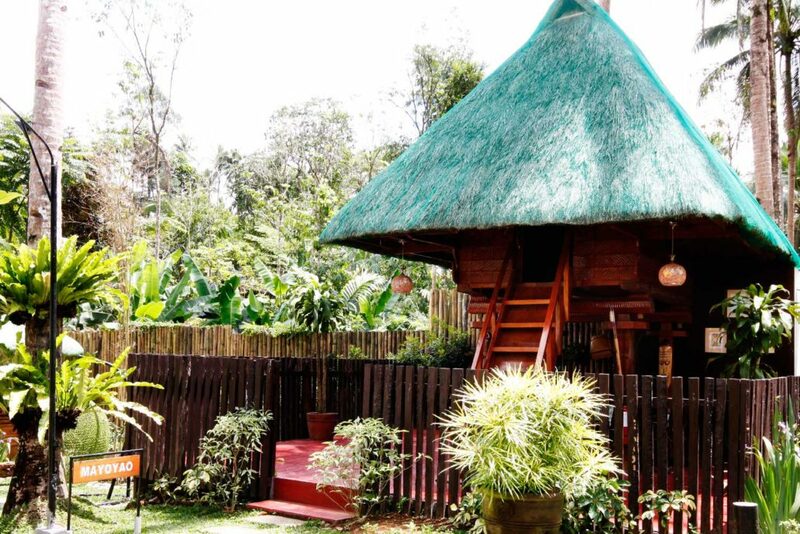 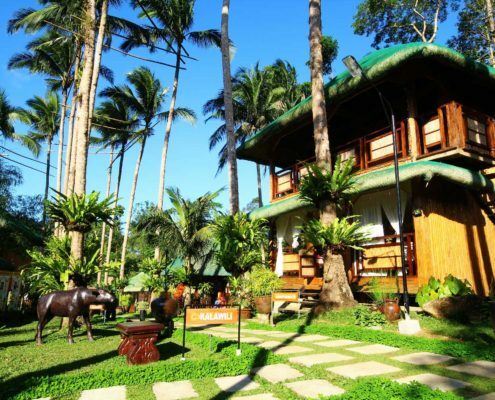 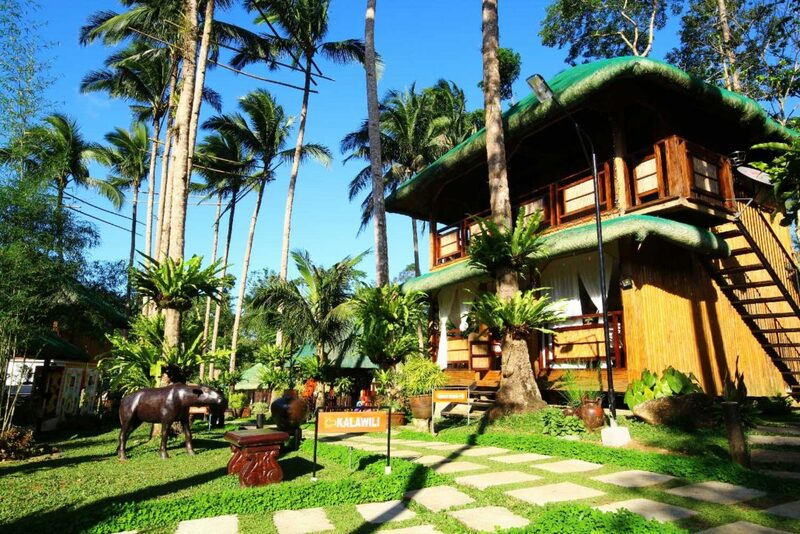 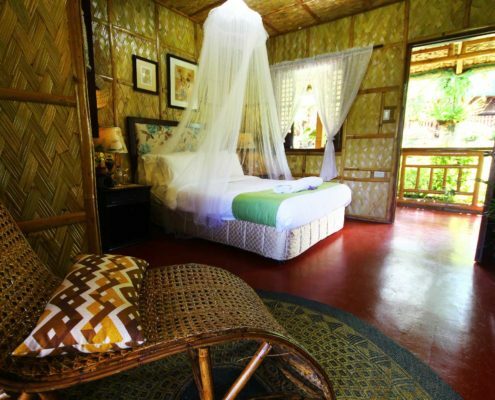 Instead of developing rooms made from modern materials, each room of Samkara is a nipa hut, meant to complete your back-to-basic nature trip experience. 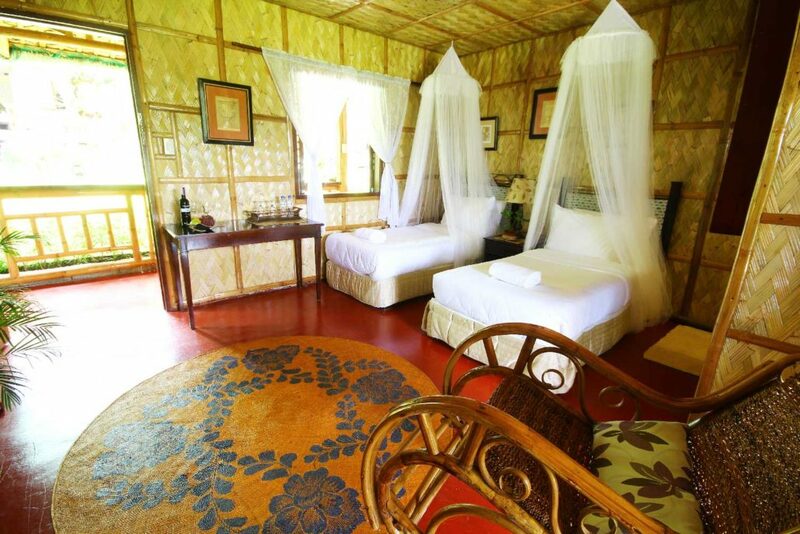 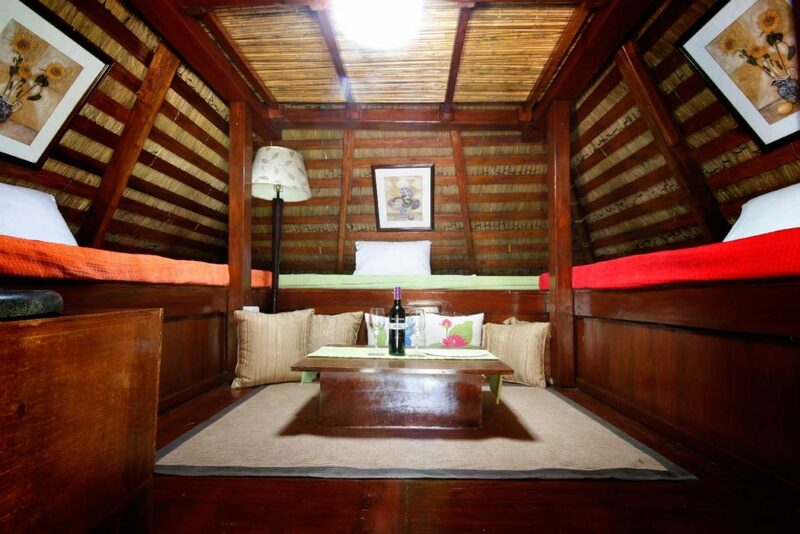 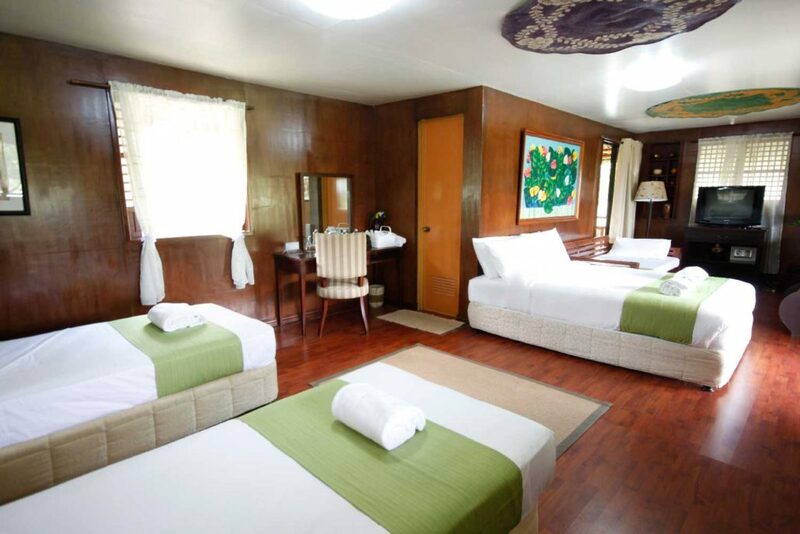 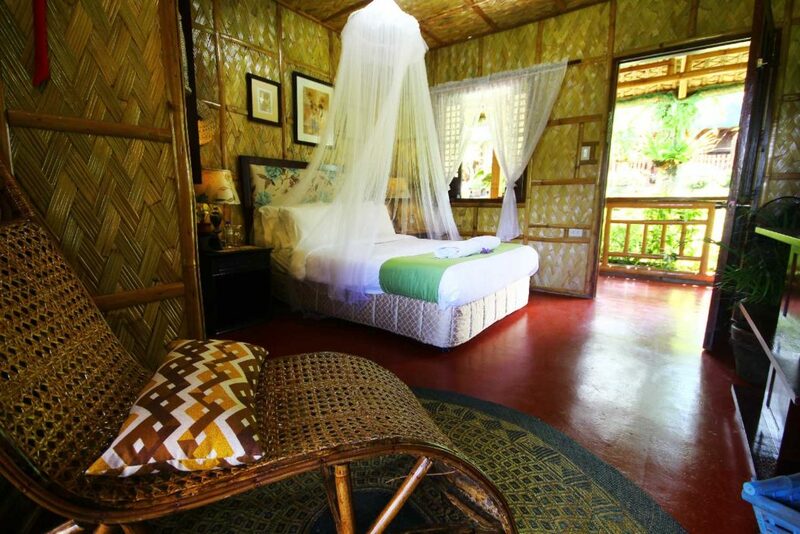 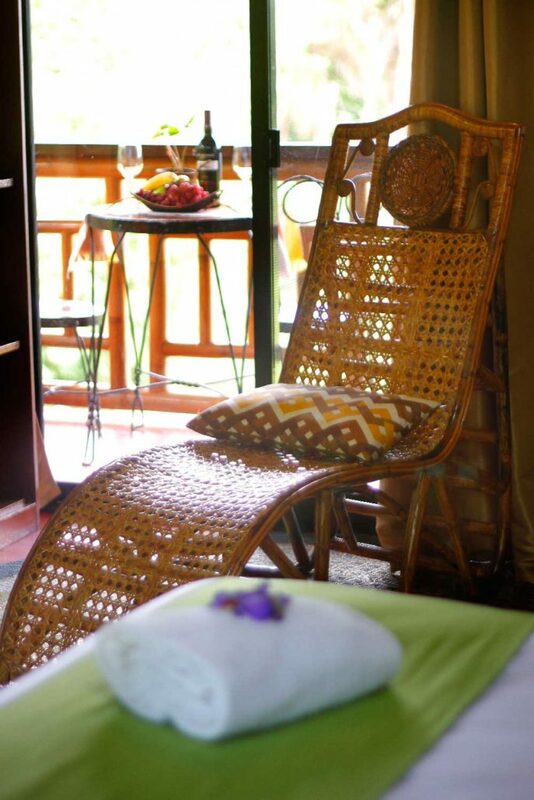 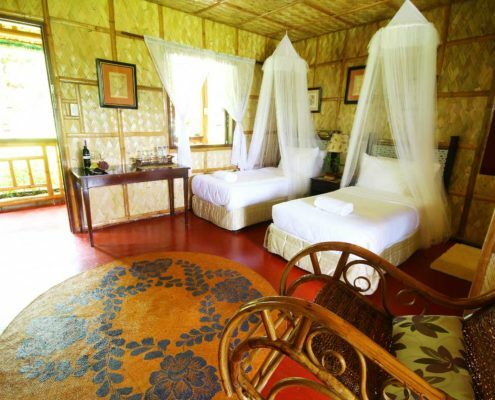 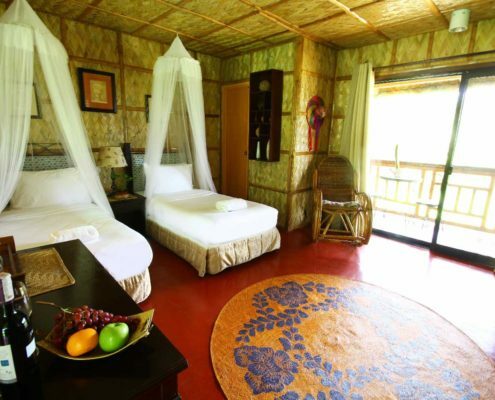 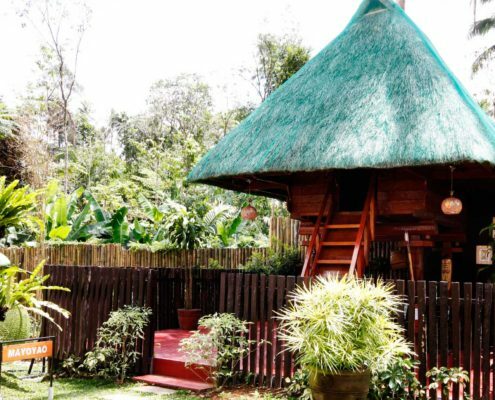 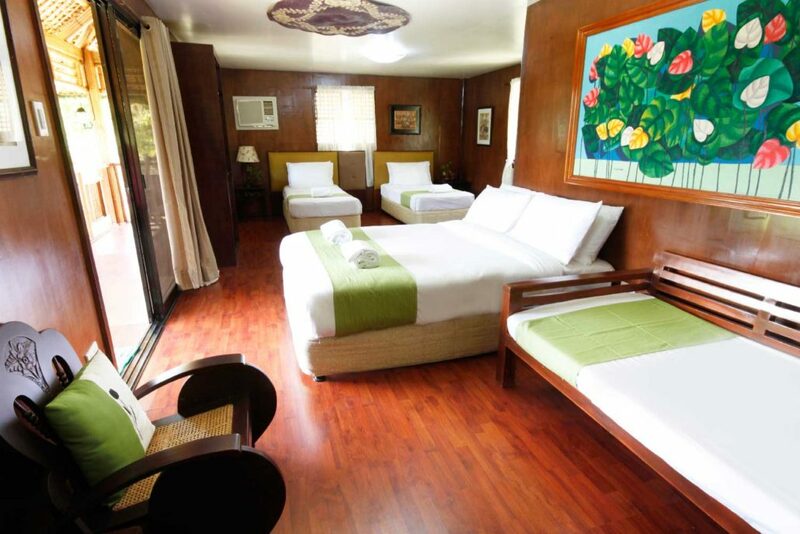 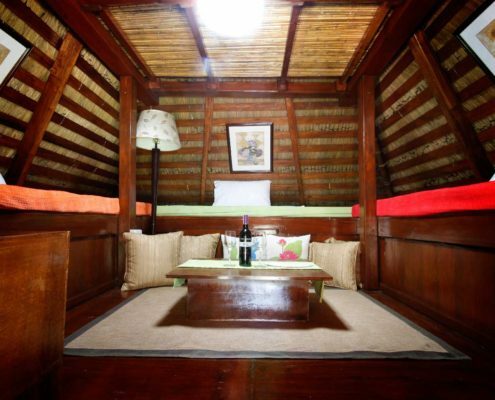 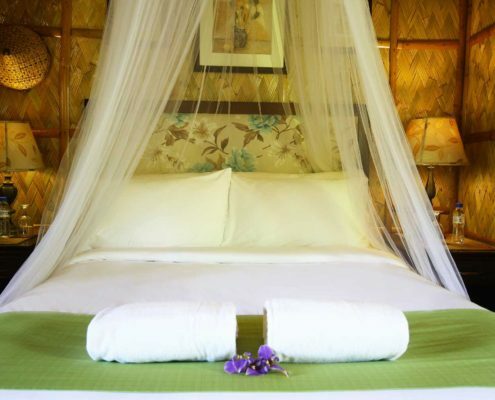 Imagine yourself dozing off in your comfortable bed inside your own nipa hut while enjoying the cool temperature given off by the bamboo walls and other native materials your room is made of. 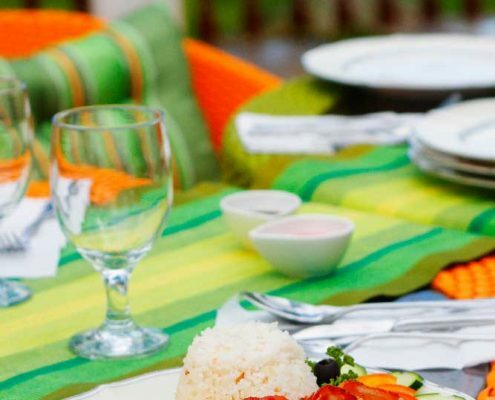 Please note that bringing of food items is not allowed inside the resort. 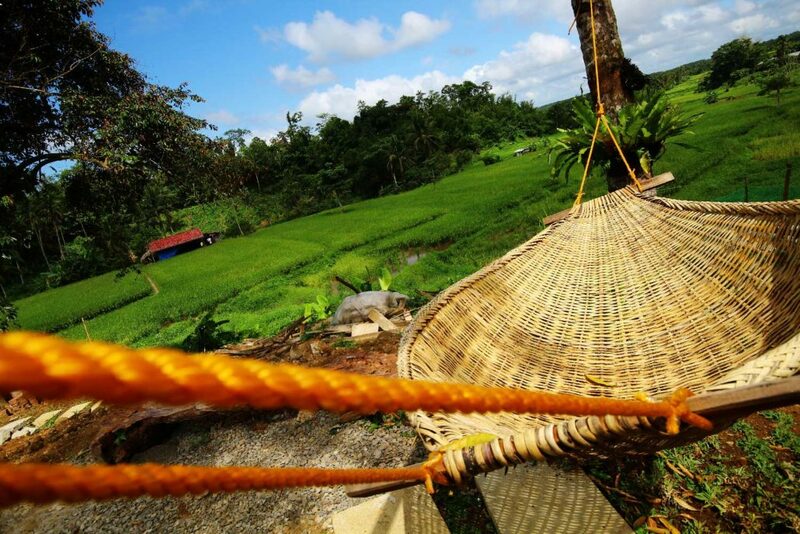 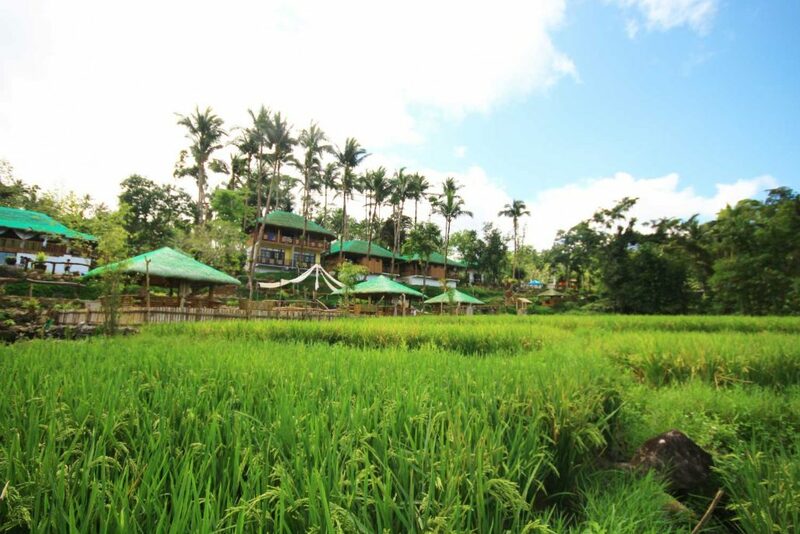 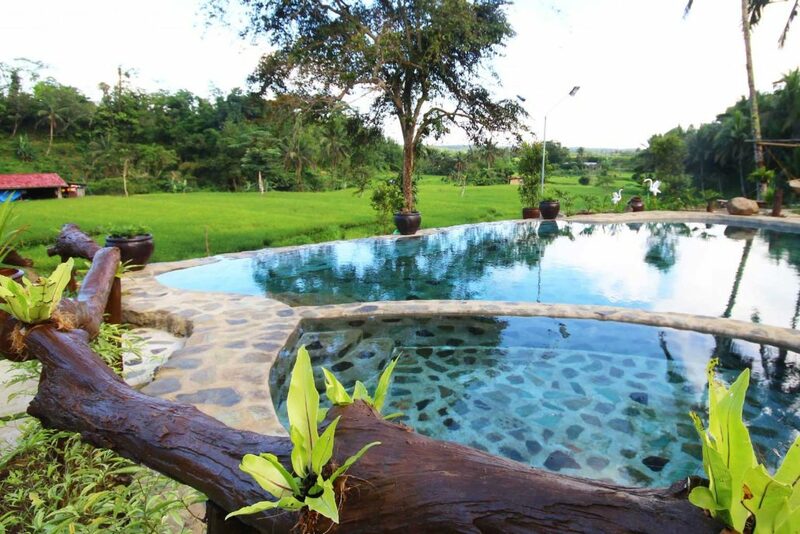 Surrounded by mountains and rice fields, you are sure to breathe in fresh air throughout your stay in Samkara. 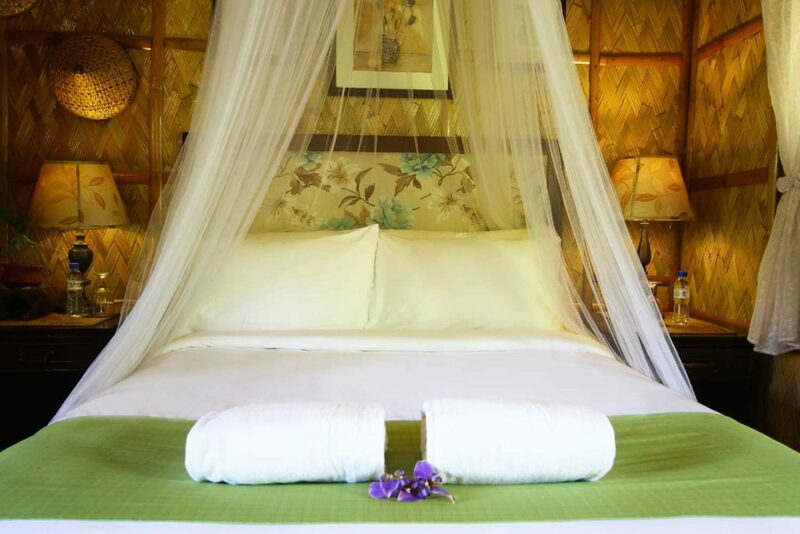 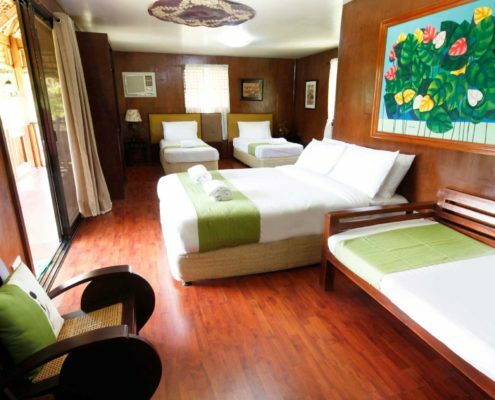 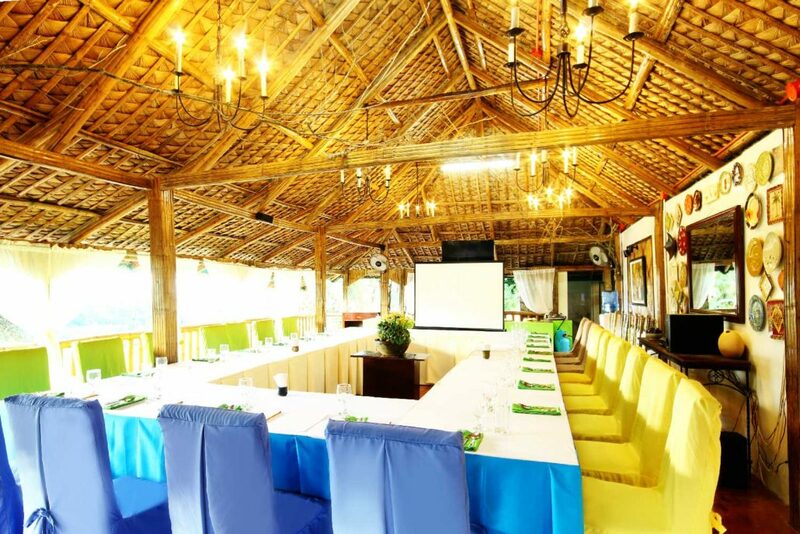 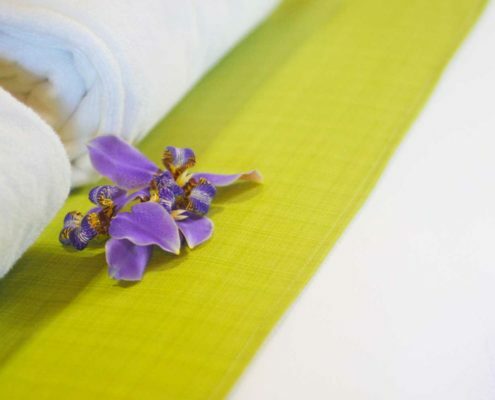 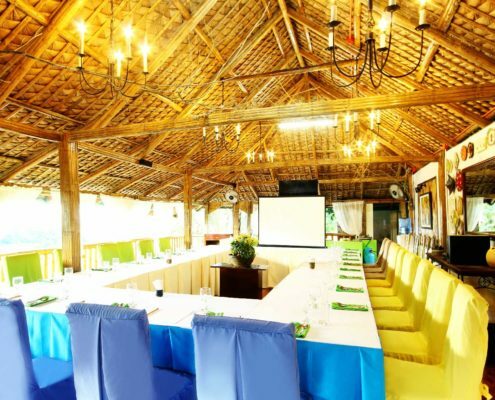 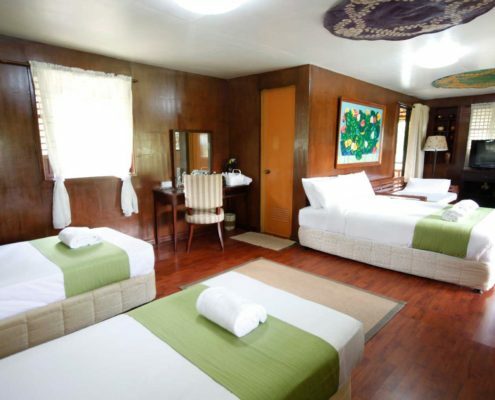 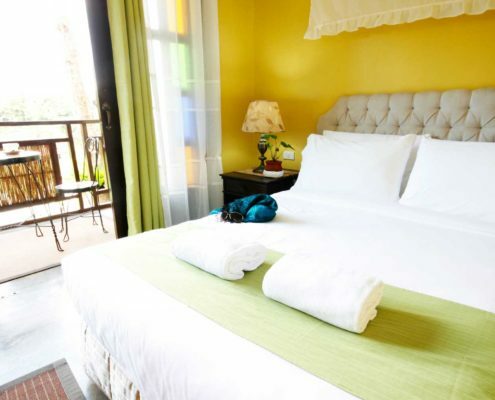 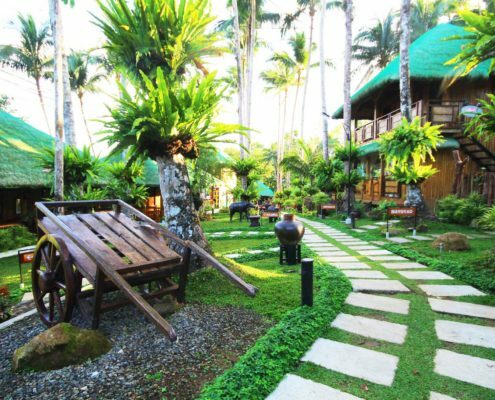 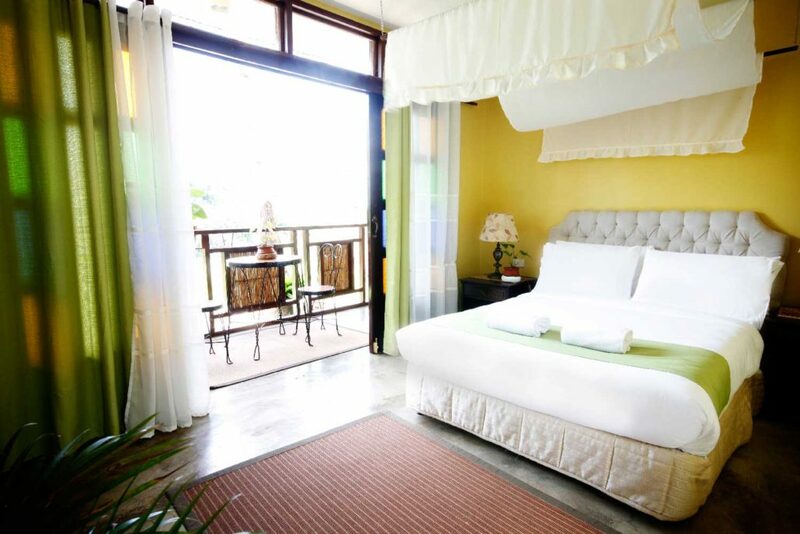 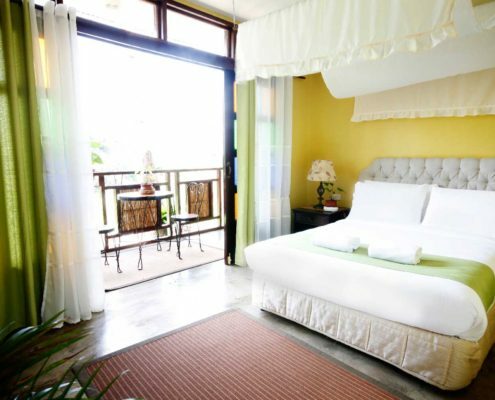 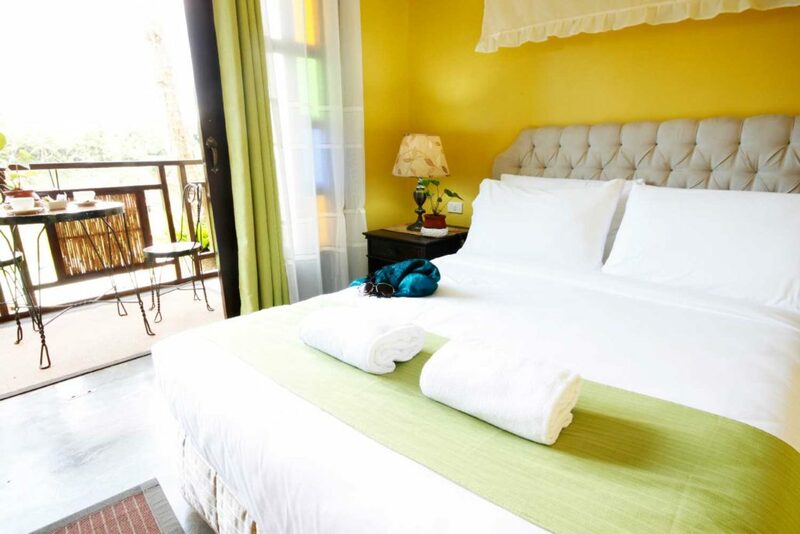 Its clean surroundings plus the numerous buko trees and colorful orchids that abound the resort guarantee you that the air is everything but dirty. 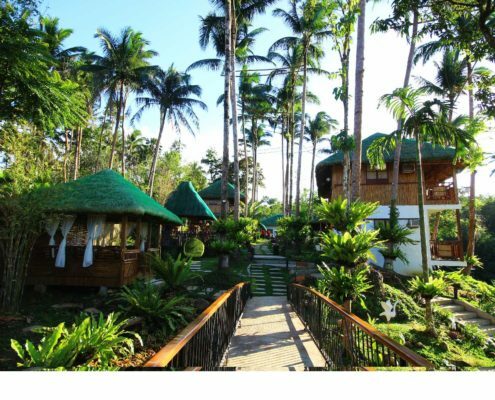 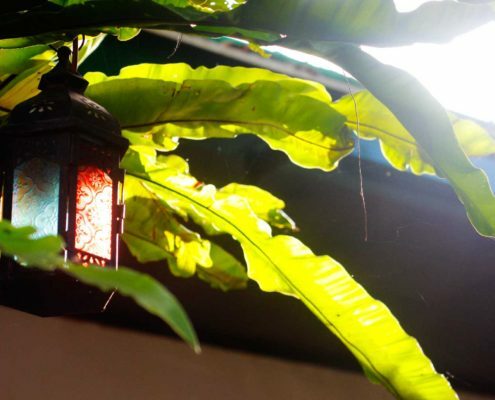 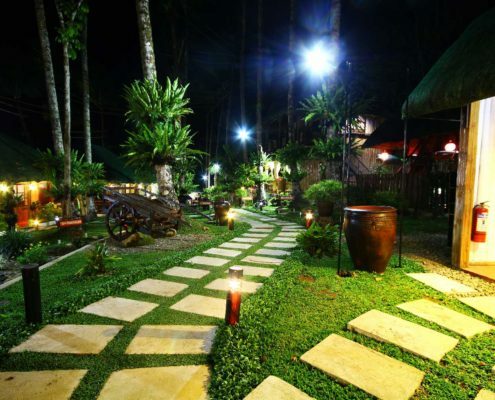 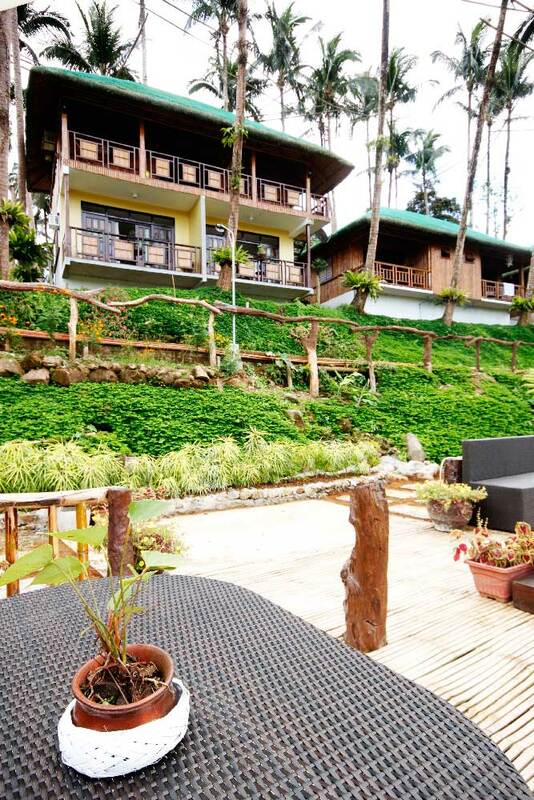 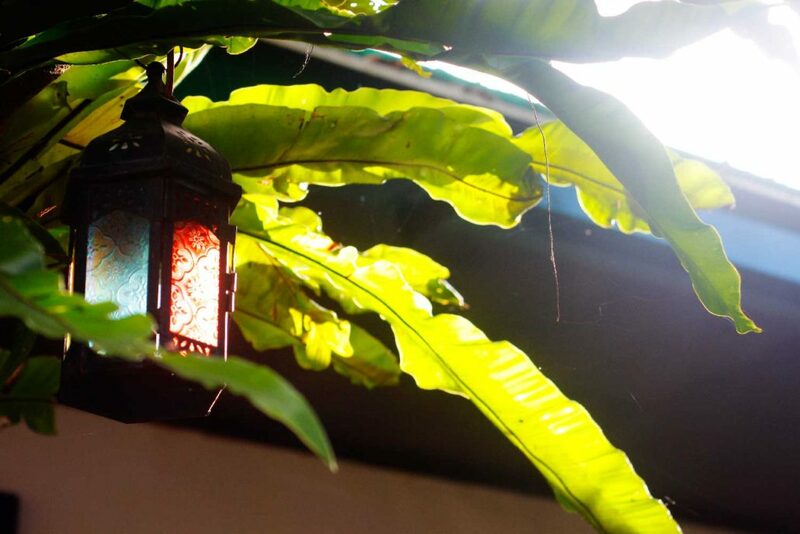 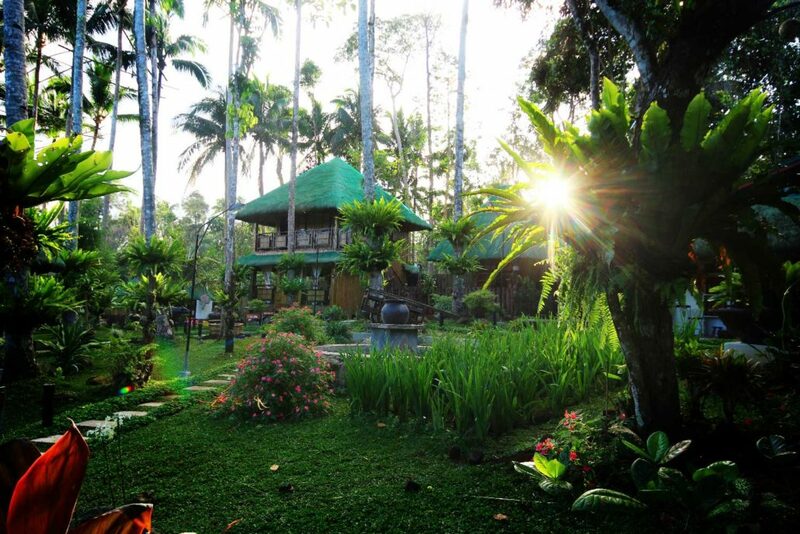 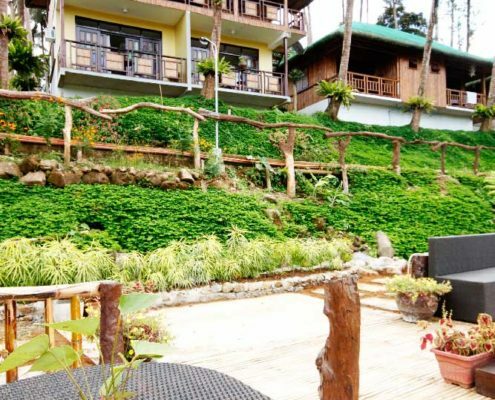 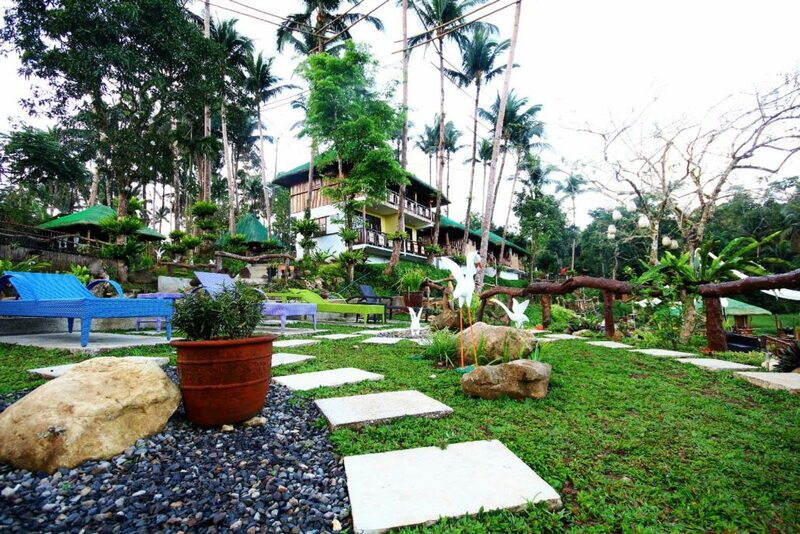 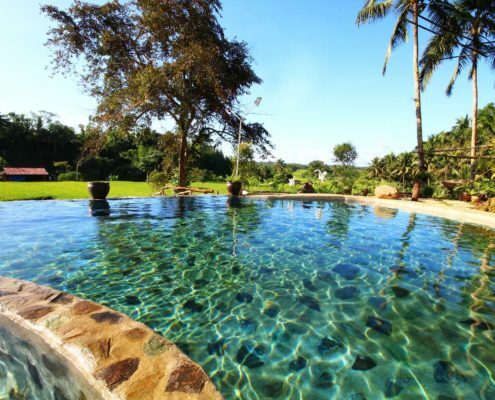 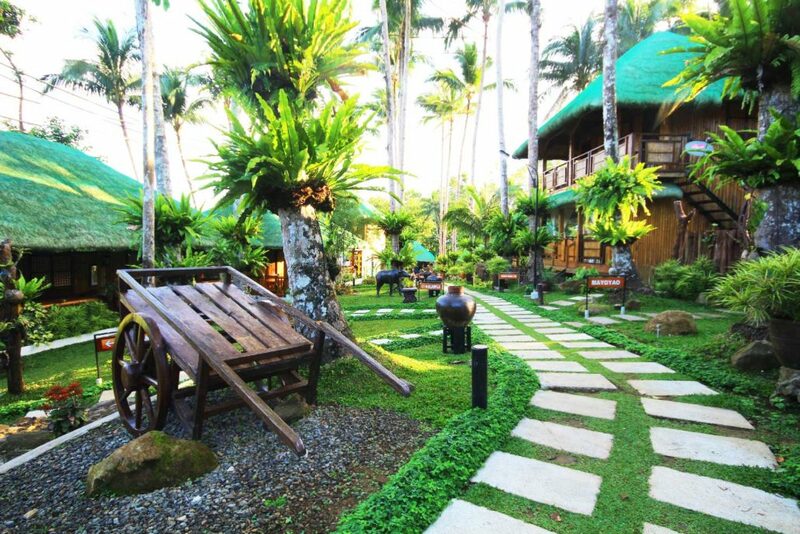 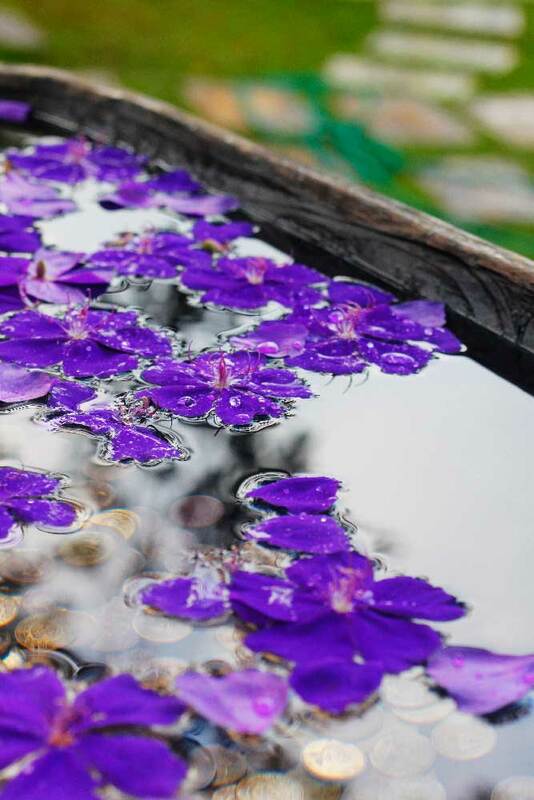 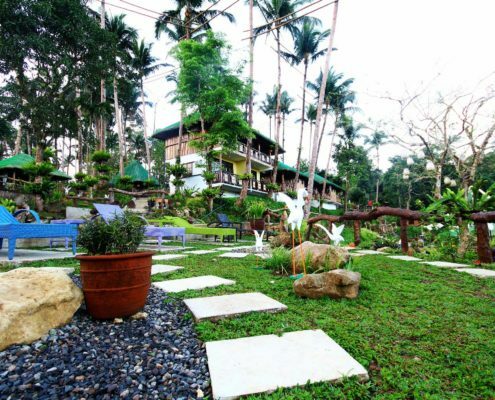 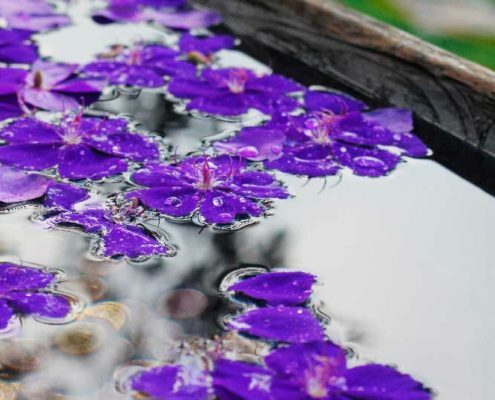 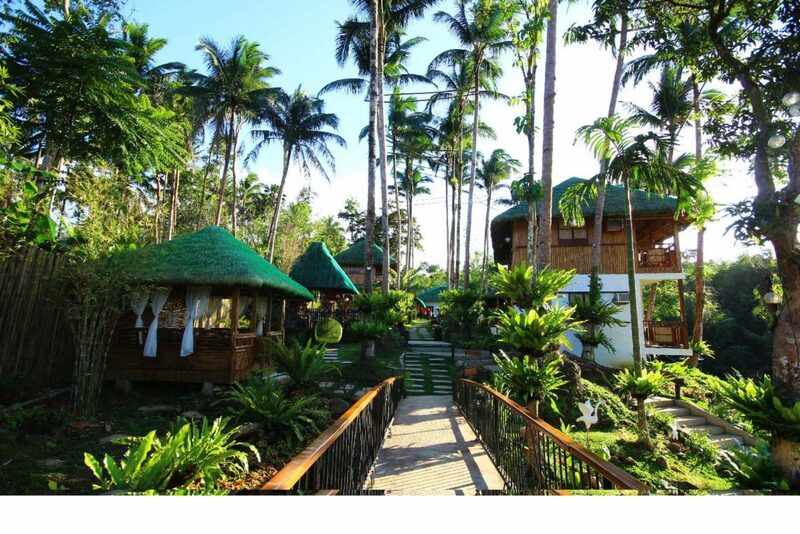 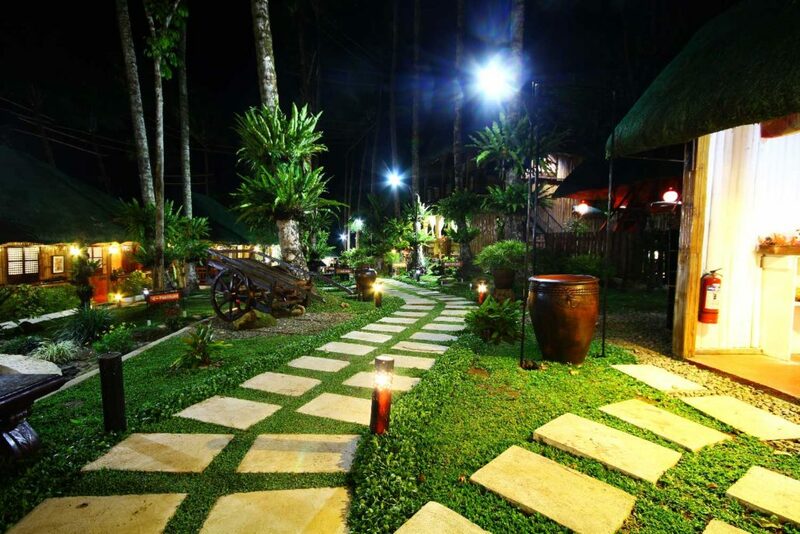 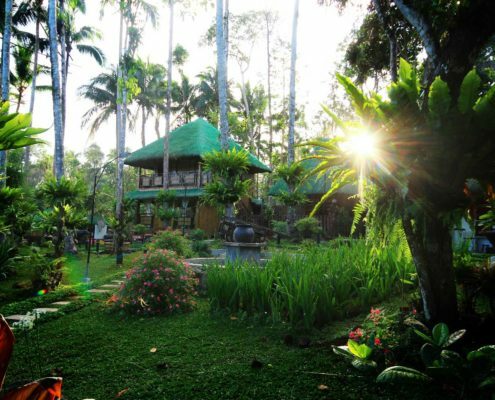 The resort is also a huge garden showcasing different kinds of outdoor and indoor plants, various varieties of flowers and orchids that came from the plantings and care of the locals in the community. 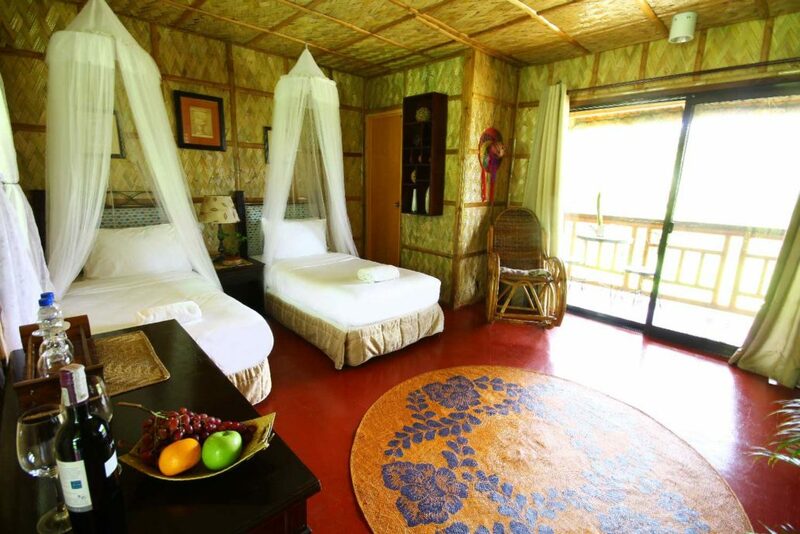 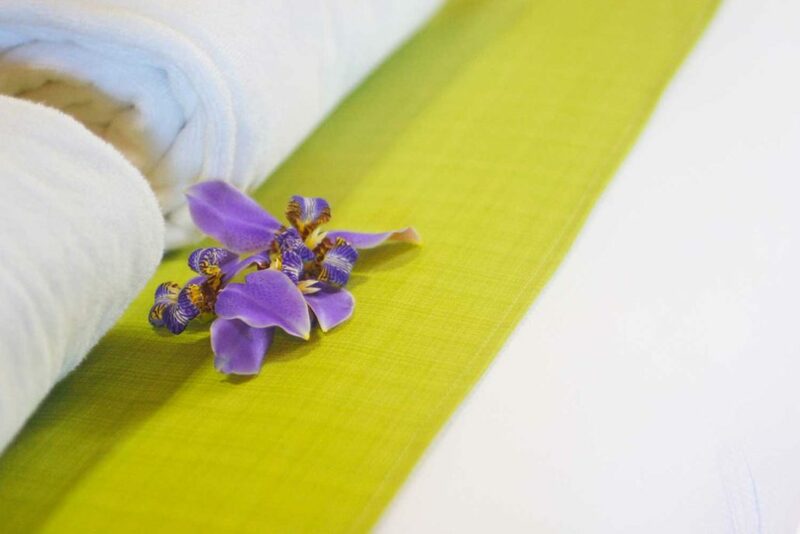 All these natural décor are openly displayed all around the resort for your appreciation. 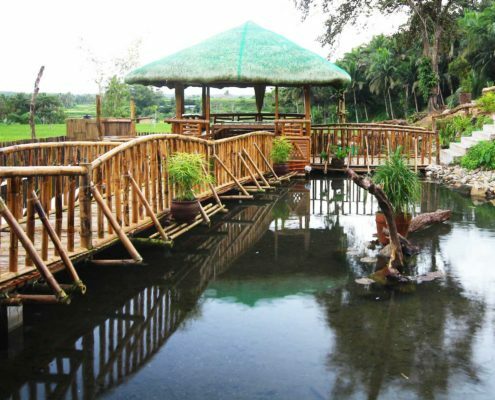 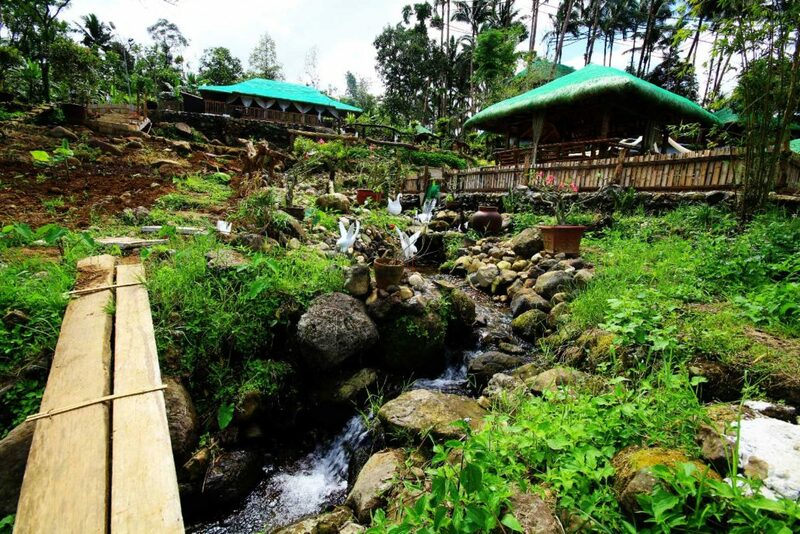 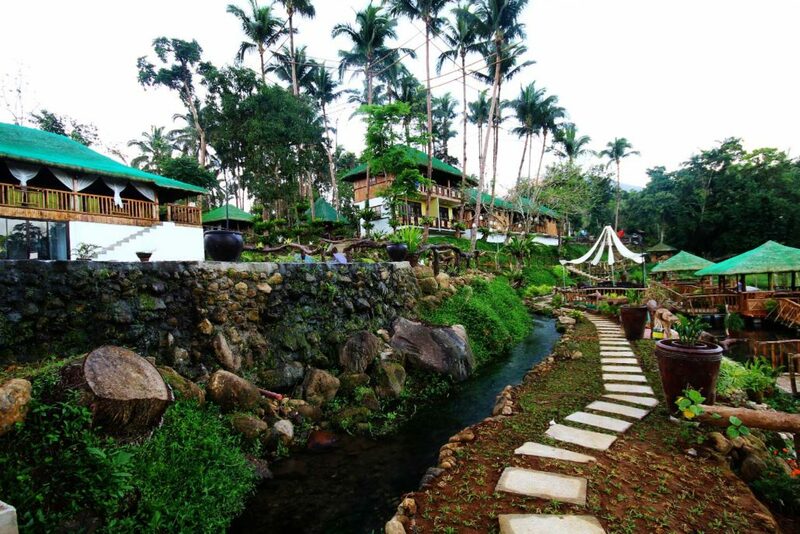 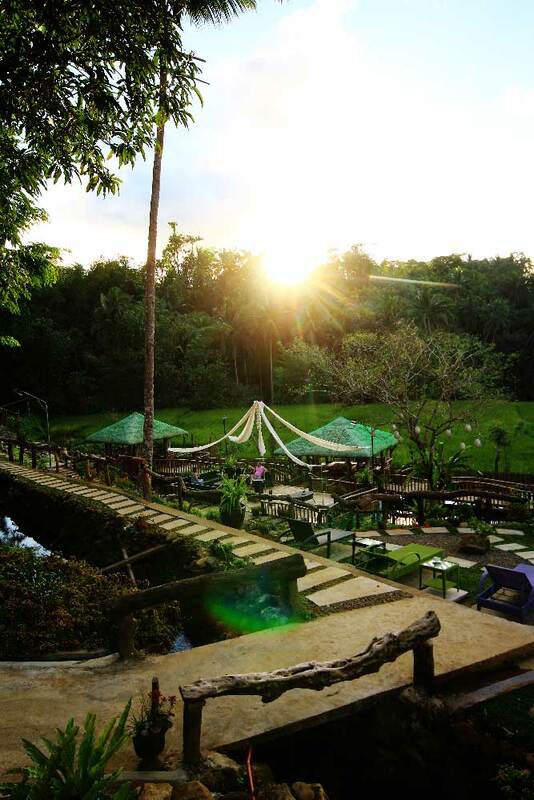 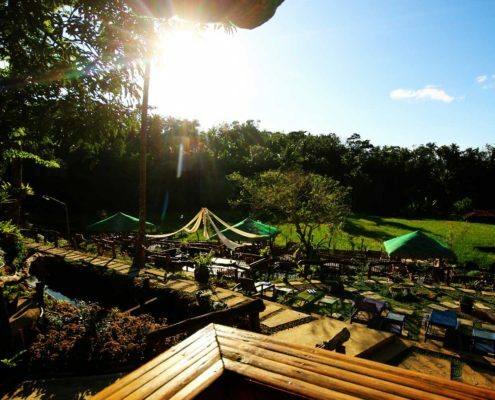 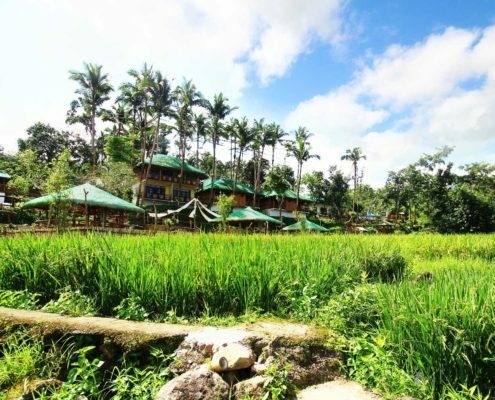 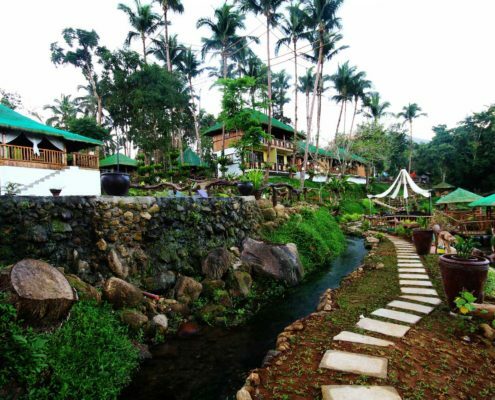 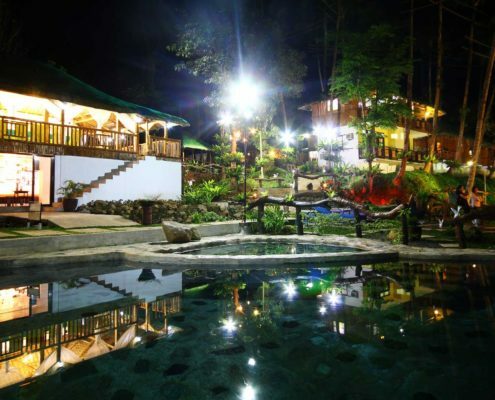 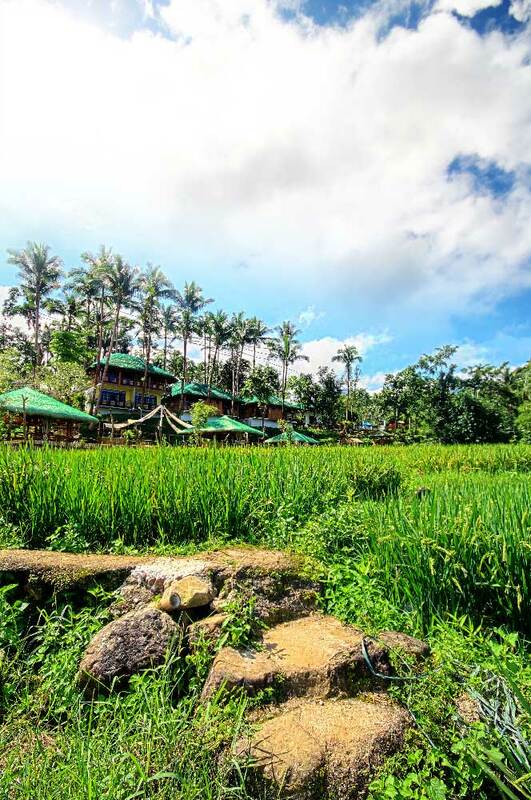 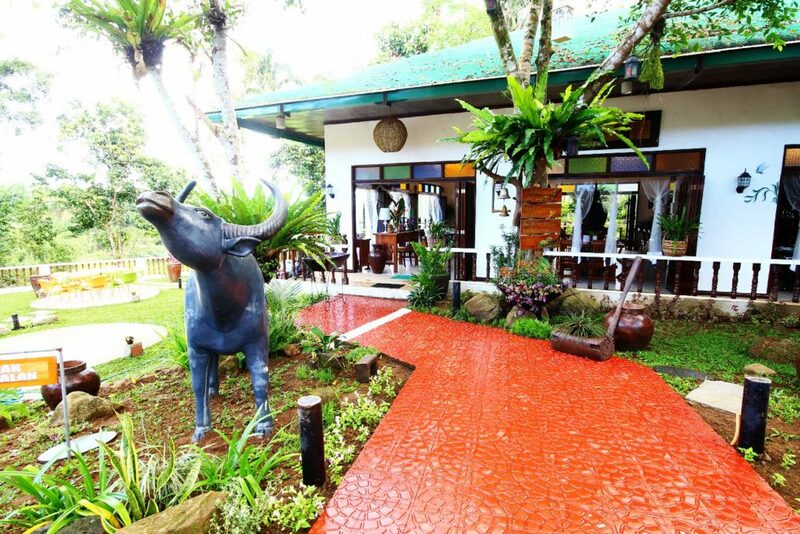 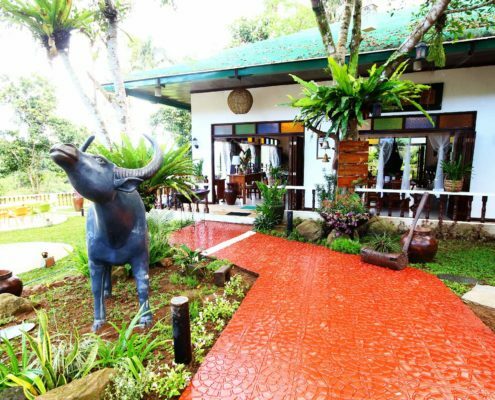 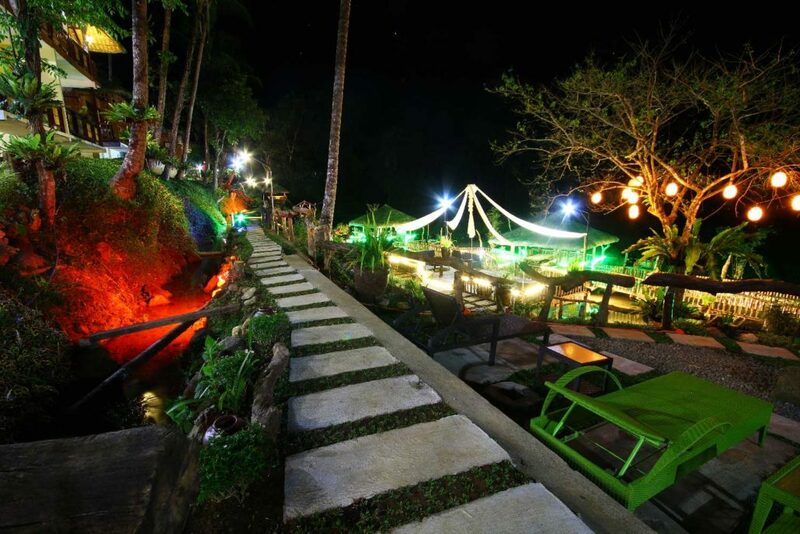 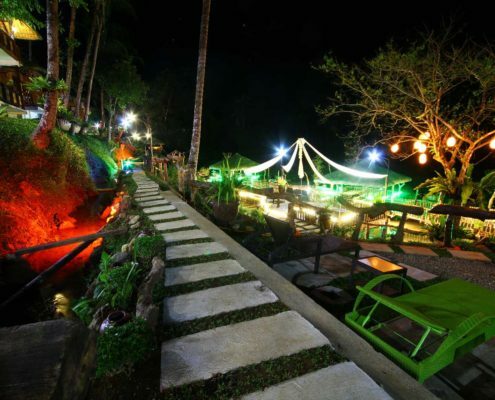 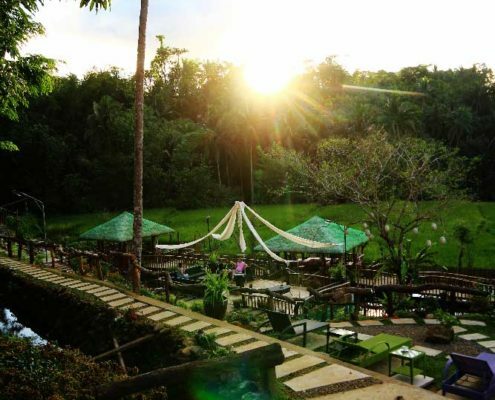 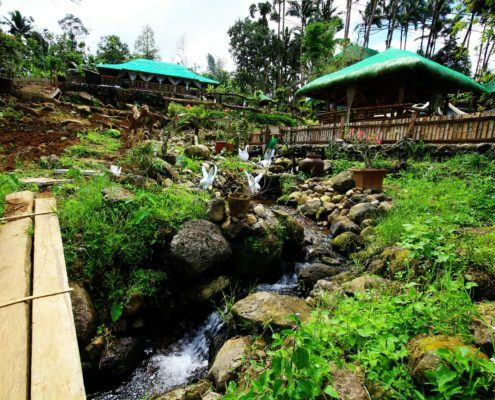 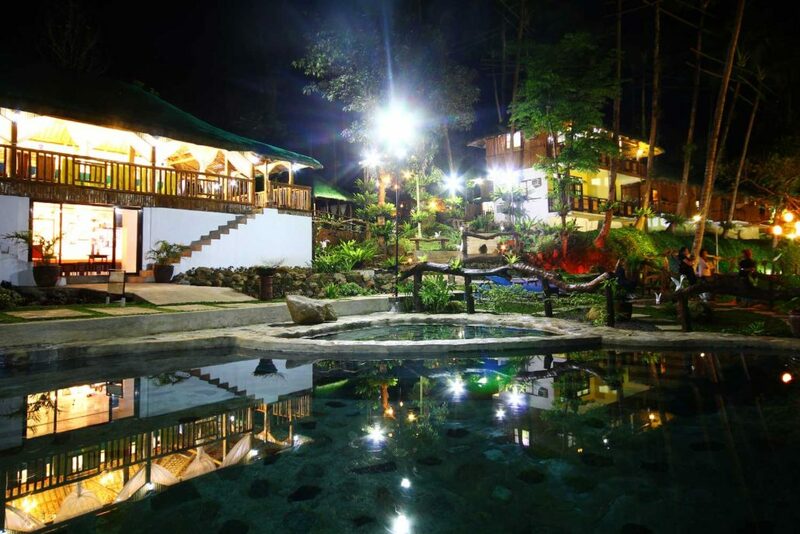 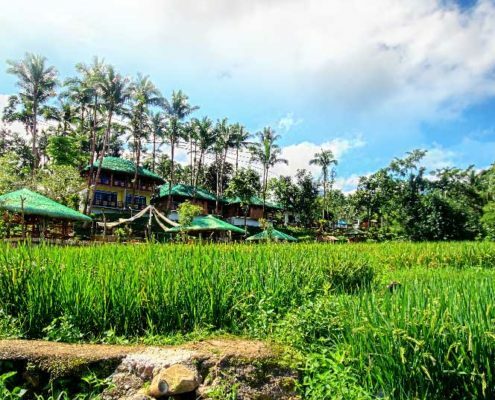 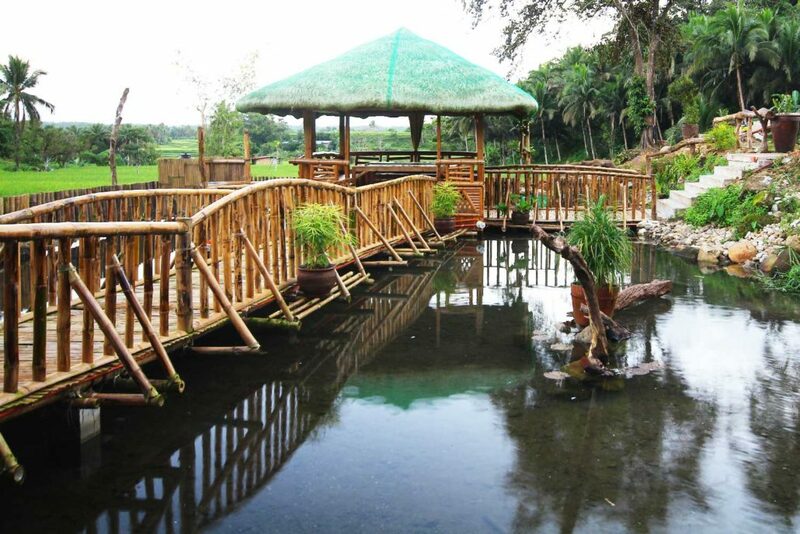 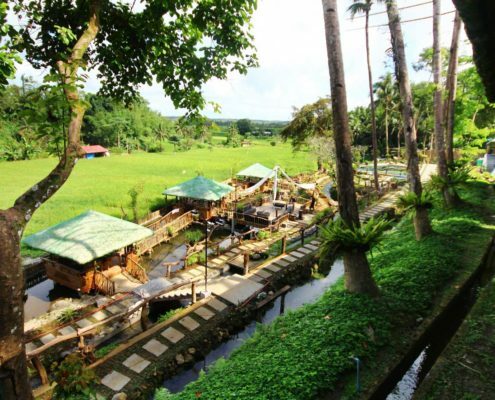 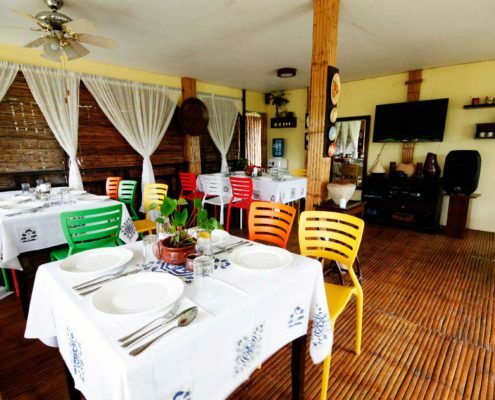 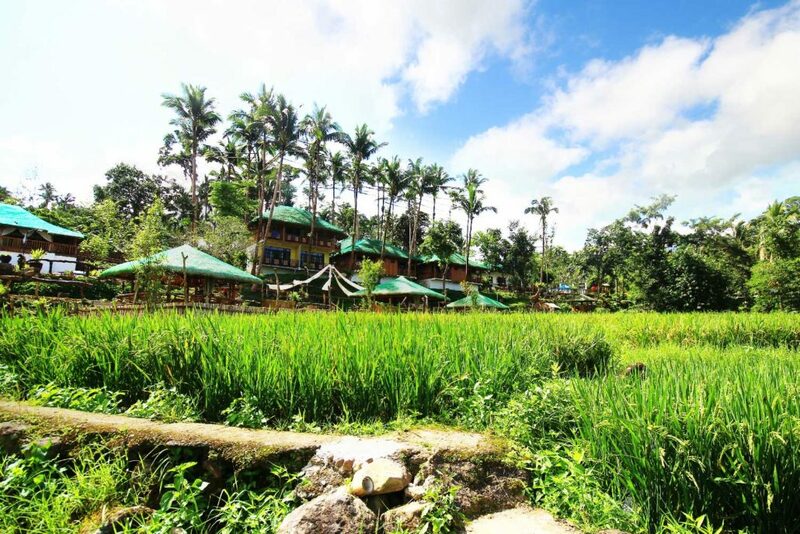 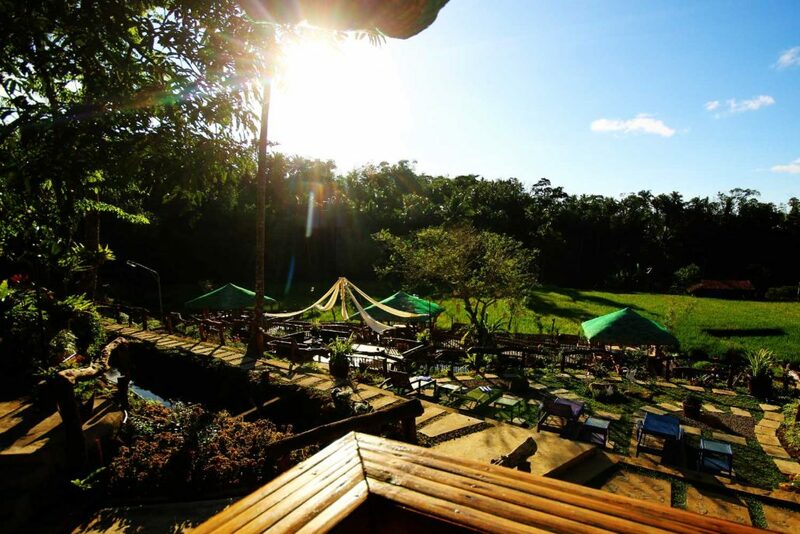 Unlike other leisure destinations, a two to three-hour scenic road trip to Lucban is what is in store if you are coming from Makati or Alabang. 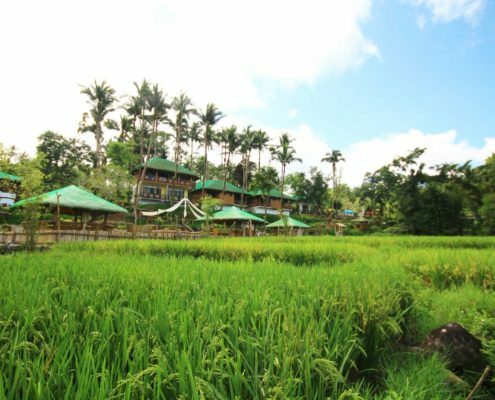 You will first be mesmerized by the different characteristics and colors of the towns of Laguna before you get to Lucban. 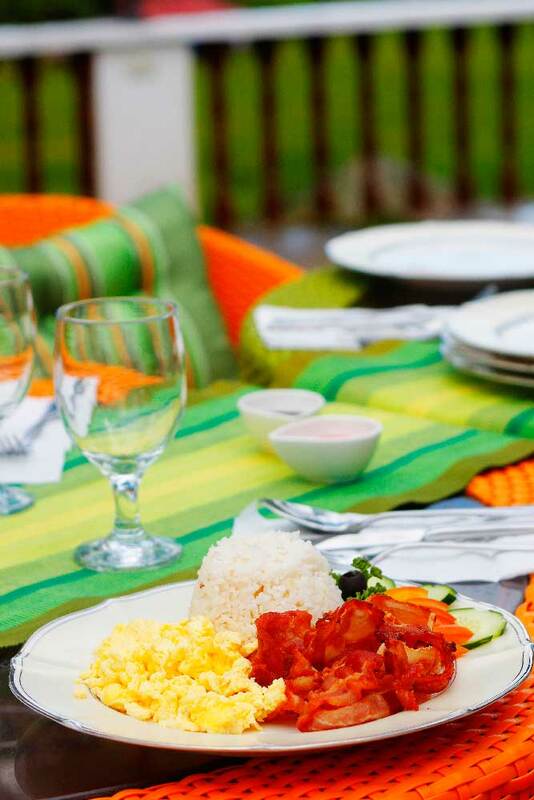 This alone is already a feast to your eyes and your camera. 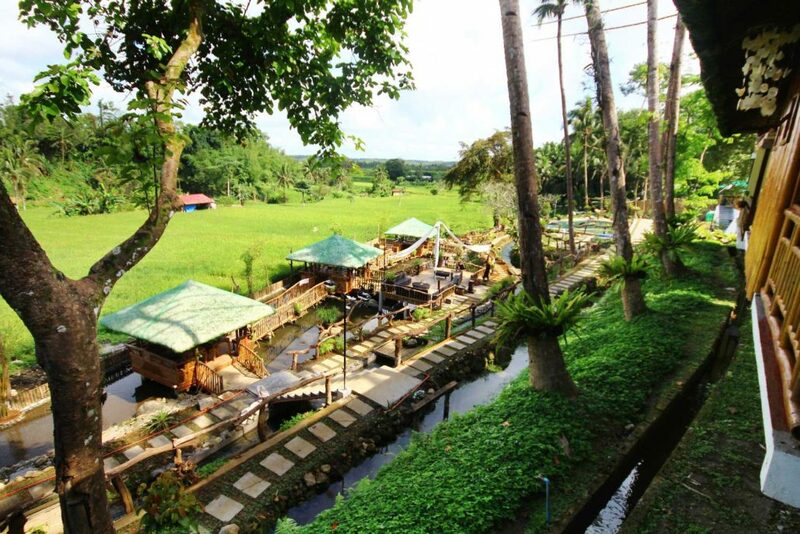 On your way, you can opt to pass by the Underground Cemetery in Nagcarlan, visit century old churches in Majayjay or Liliw, or you may also shop for durable, Filipino-made footwear in Liliw before you reach Samkara. 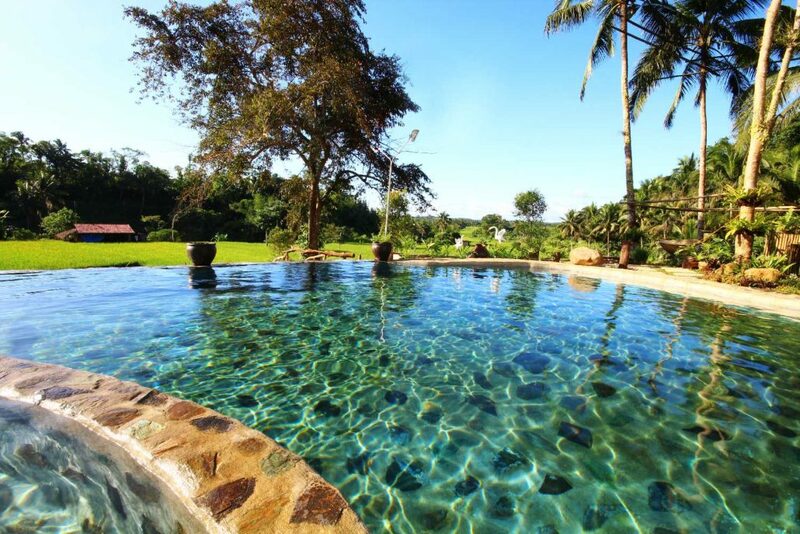 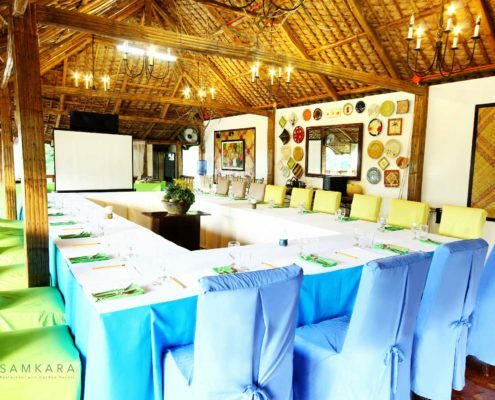 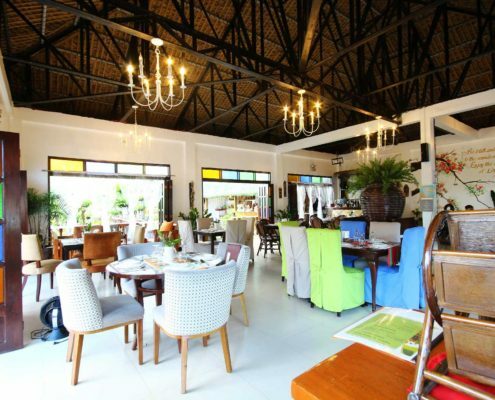 After the scenic drive, as you alight at the entrance of Samkara along the highway, you are instantly awed by its location as it is away from the busy city and it is surrounded by nothing but mountains and rice fields. 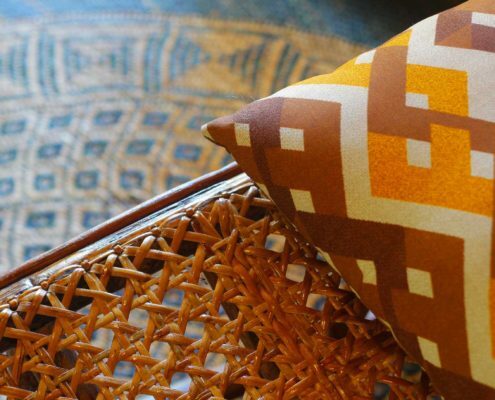 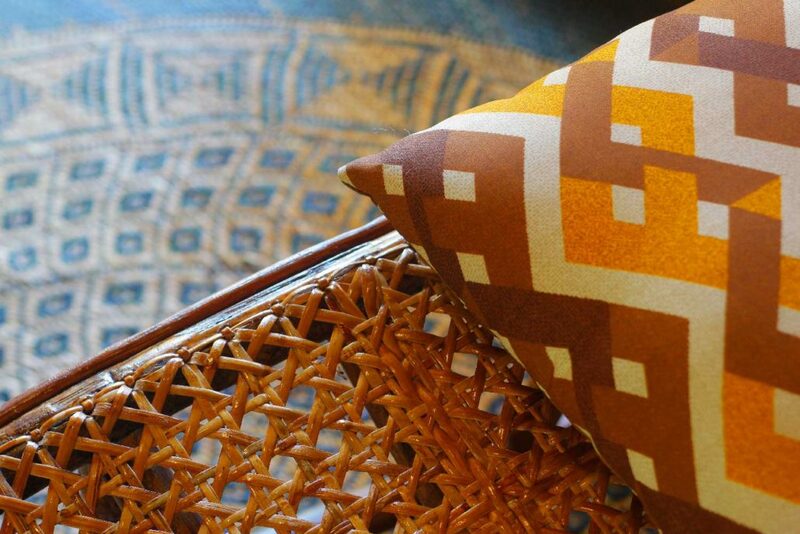 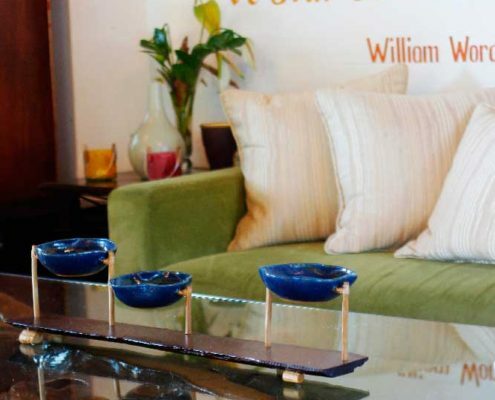 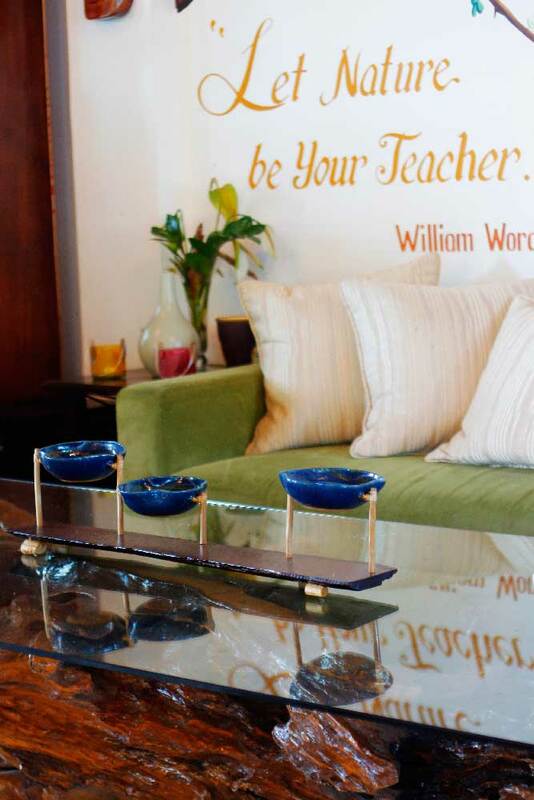 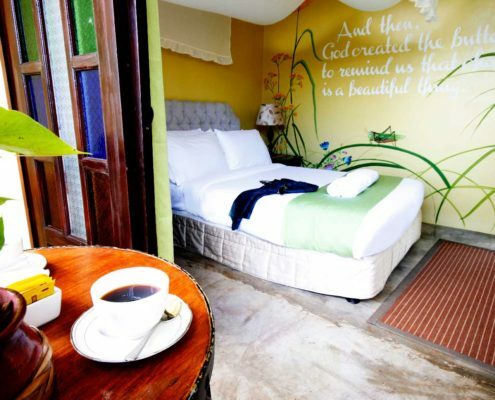 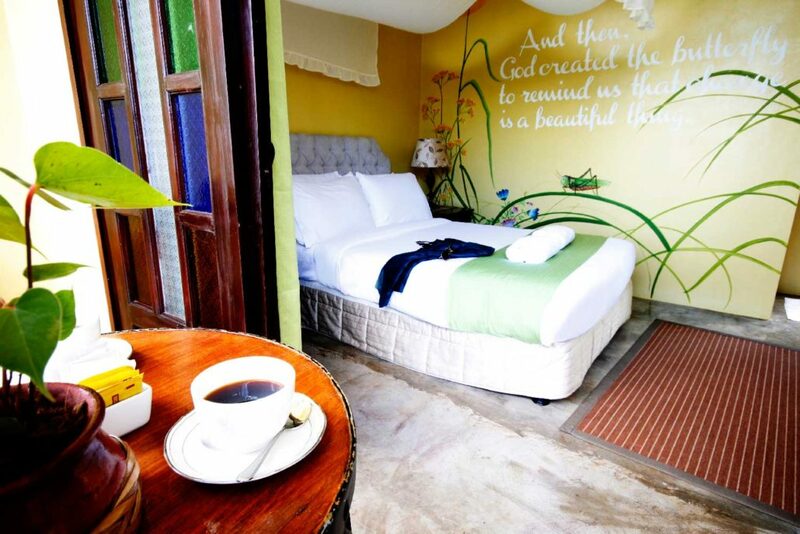 You will immediately get that feeling that Samkara will give you a unique experience throughout your stay.